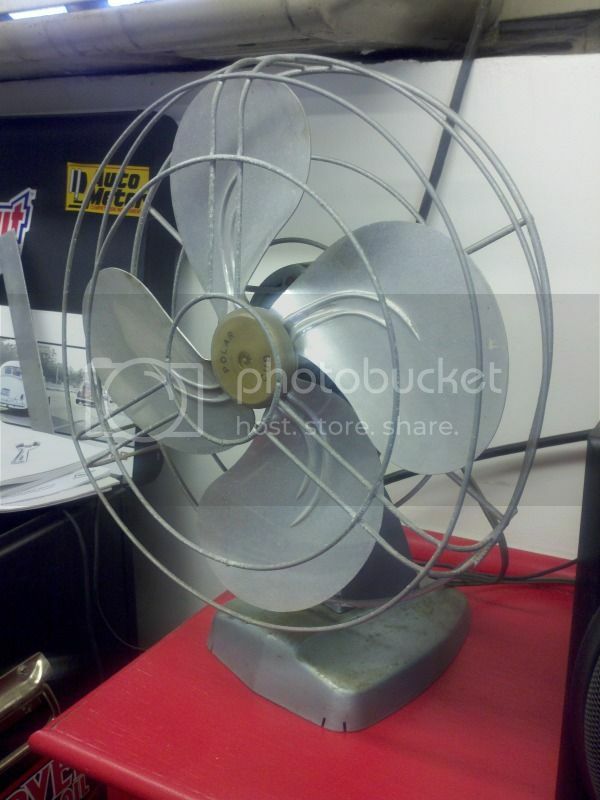 I have always wanted one of these old fans; my Gramps has one in his spare bedroom i've had my eye on for quite some time. Looks good! Wow, nice work! 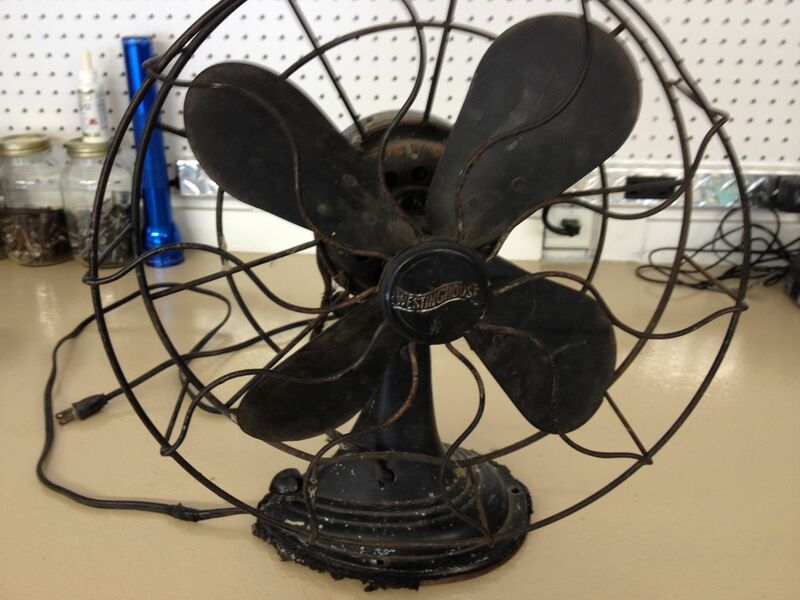 That's a great old fan! 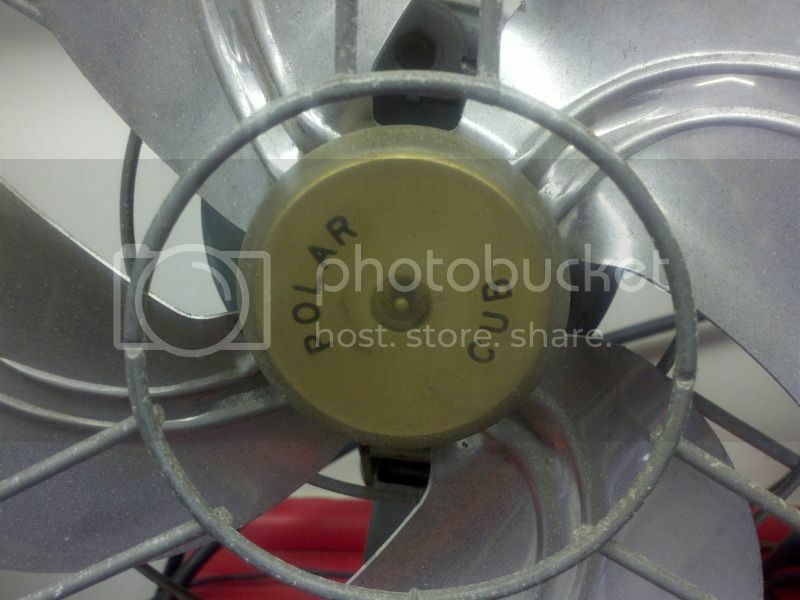 I have an old Polar Cub fan in my garage, but it doesn't have any cool family history behind it like yours, we got it at an antique shop here in Orange. 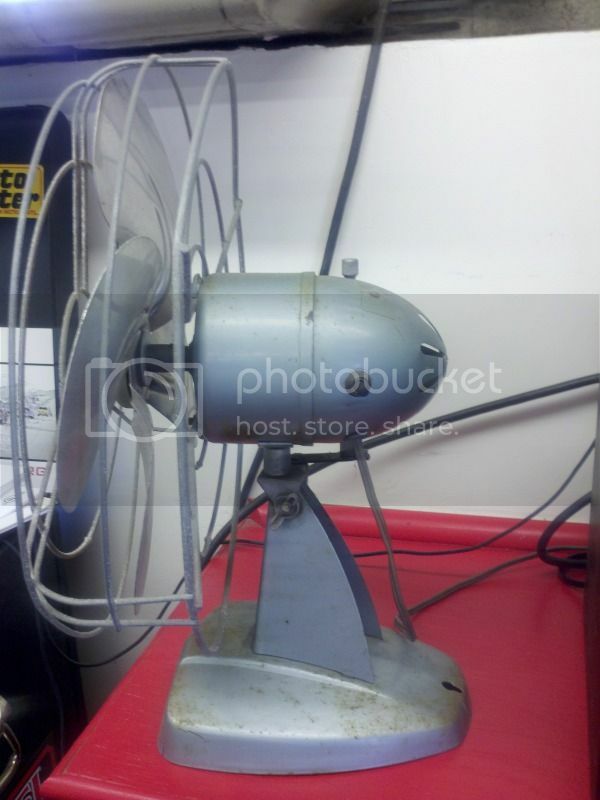 Works great and looks good with the exception of a little surface rust on the base. Probably not quite as old as yours. I dont know how I missed this post. 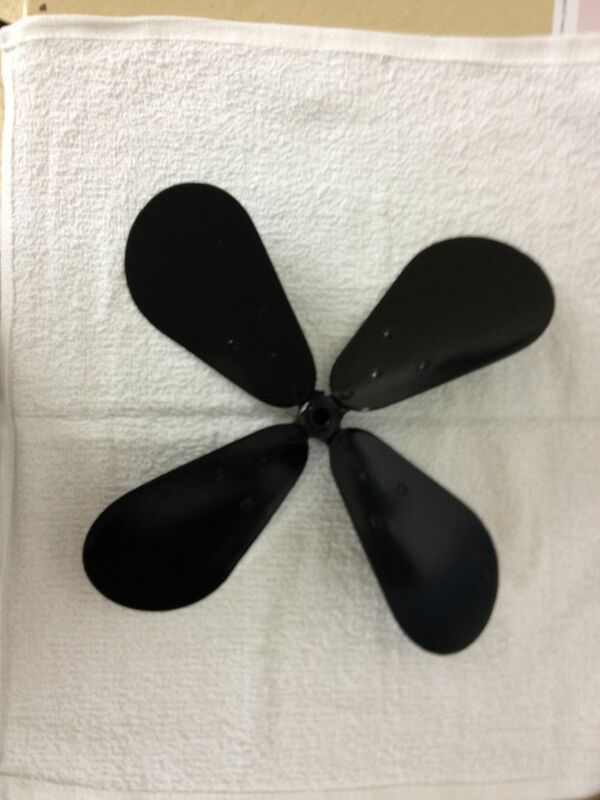 That is a cool fan! 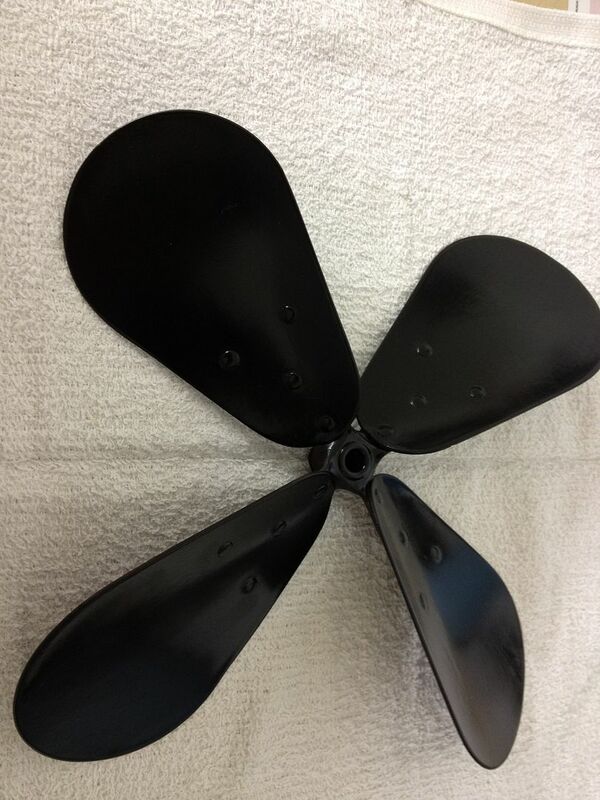 I love these old fans! I scooped up 4 old Emersons back in January for $300. One could not be restored. One has been completed and is pictured below. One is up in East Texas getting restored and should be done any day now. And another in Dallas that will be a Christmas present to my Mom if he gets it done in time. I have been searching the internet for cloth wire. I am not sure really what I need. All I have to go by is the small wire going from the base to the head. It is 2 wire cloth shielded and I believe the wire was twisted inside the outer cloth sheild. Looks like I will need less than 10ft. I am also not sure which end to order their are three to choose from. AC vintage style plugs made for 2-conductor power cord. There are three types. Type 1 is made of hard brown plastic, with flat shape and neck. The cost is $3.00 each. 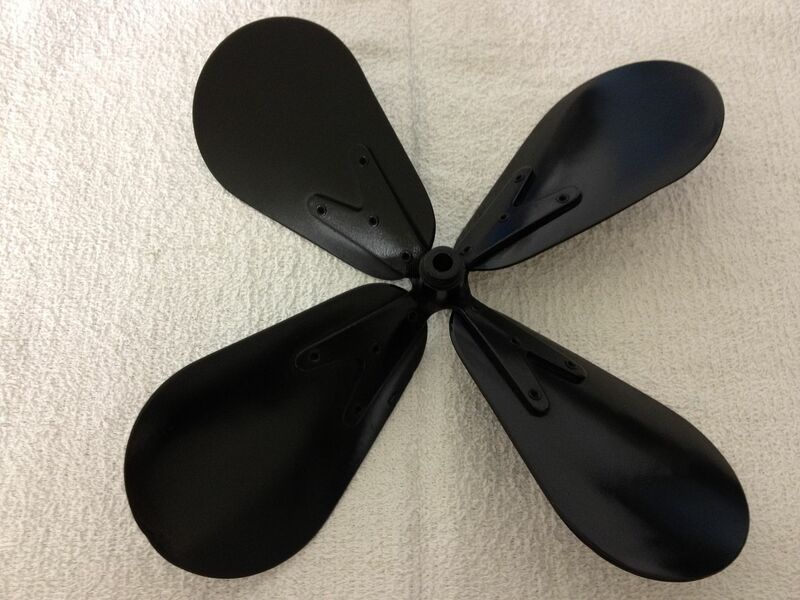 The second and third types are made of hard black plastic with round shape. Type 2 is with a neck. Cost is $3.00 each. Type 3 is without a neck. Cost is $4.00 each. Im not sure which one I need. 2-conductor, Black Twisted power cord. #18 gauge stranded. I think this is the wire I need. this is what my existing wire looks like I am assuming the power cord was the same. they dont sale it in a 2wire only 3.